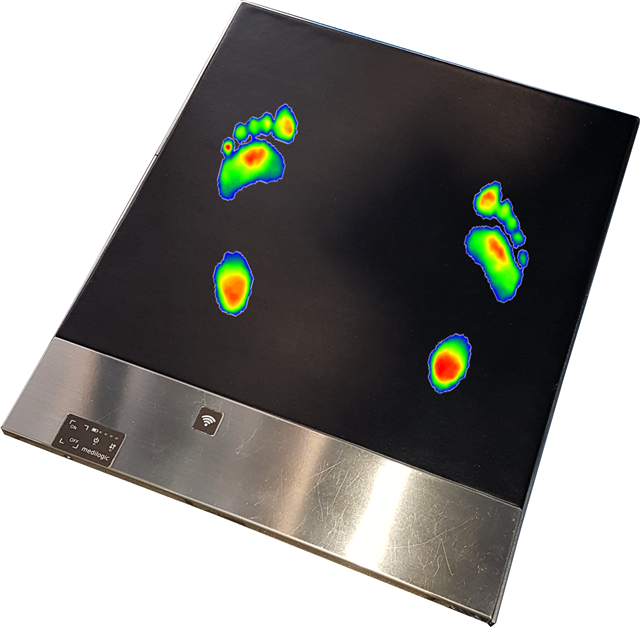 The medilogic foot pressure measuring platform NX offers the unique possibility to enlargen your gangway to your own fits. THe modular concept enables to link up to 25 measuring platforms. In a row, in a double-row or in a rectangle. 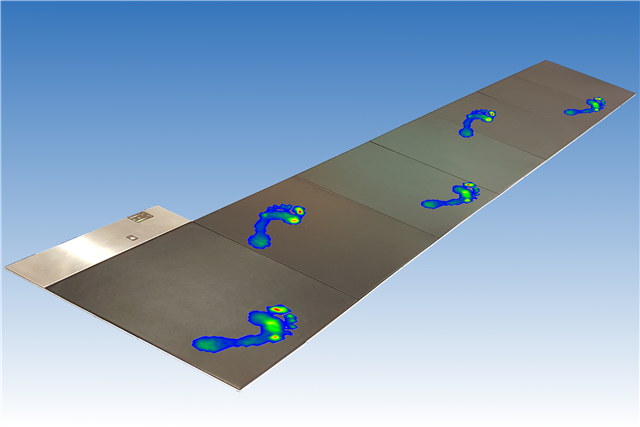 A single platform gives you the option of dynamic or static pressure measuring underneath the foot. The measuring field is 384 x 384 mm and has 4.096 sensors. This means 2,8 Sensors per square centimeter. The evaluation of the middle step out of several single steps is given by the medilogic software. 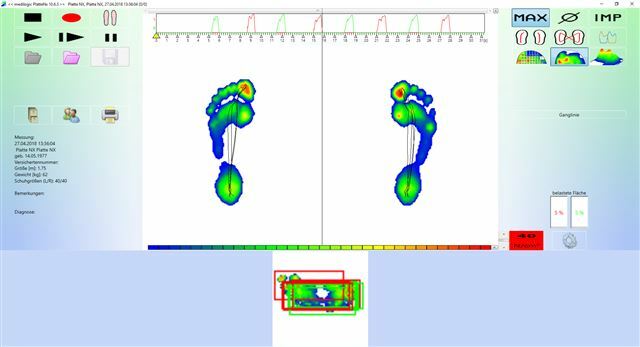 The pressure measuring platform NX as single platform with dynamic footprint. The dynamic footprint evaluated of several steps. The view shows every single step for left and right side as overlay as well as the gaitline of several steps. The pressure measuring Platform NX in the configuration with 7 platforms is a N7 – Here you see it as a gangway. Dieses Viedeo veranschaulicht die einfache Handhabung der Messung im Schuh und zeigt die direkten Auswertemöglichkeiten der Software, wie sie auch für die Platte NX bestehen.